Hide deals from seller "D'fine Sculpting & Nutrition"
Limit 1 per person. Valid on a fitness package including a nutritional assessment, fitness assessment, body composition, 5-week cardio workout plan, (8) 30-minute personal training sessions and a 1-month subscription to D'fine Definitions digital newsletter. By appointment only. Personal training available Monday-Saturday only. Promotional value expires 90 days after purchase. Chisel a new physique with 50% off a fitness package from D’fine Sculpting & Nutrition, available within 20 miles of Schaumburg ($1,161 value). Certified personal trainer and nutrition expert Danielle provides first-rate support, motivation and tools to help her clients get in shape. Your trainer will take a comprehensive analysis of your eating and metabolic patterns and will provide a meal plan based on your goals, timeline and lifestyle. A fitness assessment and body composition test will work together to provide your trainer a better idea of methods that will help you achieve your goals, and will mark a starting point on your path to fitness. Your trainer will also provide a detailed 5-week cardio workout plan for you to complete at home, in addition to eight 1-on-1 sessions with Danielle. Also included in this comprehensive package is a 1-month subscription to D’fine Definitions digital newsletter, featuring fitness articles, local events, giveaways and more. 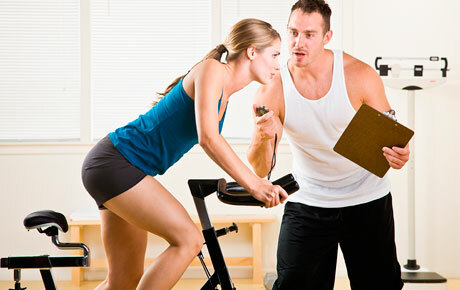 Certified personal trainer and fitness instructor in Schaumburg offering a variety of services.